We Do The Work! We'll take care of the design, production and distribution work for you! You communicate your eCoupon specs, submit your text and graphic assets, then either focus on serving customers and establishing relationships or spend a bit more time with family and friends. Online as an HTML5-Compliant Mobile Website - EVERY web-enabled, web-addressable mobile device that can access the internet unfiltered. 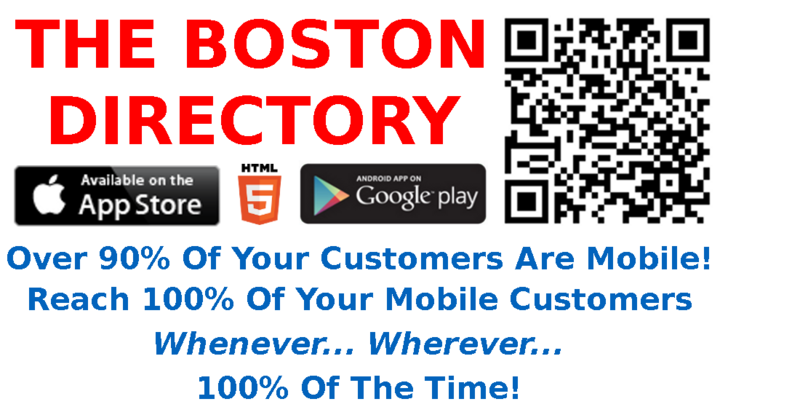 BOSTON LOCAL can effectively deliver your eCoupons to virtually anyone and everyone WORLDWIDE. Once delivered, eCoupons also becomes an extremely sticky brand-awareness and marketing tool by remaining at the virtual fingertips of consumers all day, every day whenever consumers want it, need it or desire to share or social-share it with others. Over 1.2 Million Consumers Make Up the City of Boston Local Daily Consumer Market. Over 12 Million Tourists Visit the City of Boston Annually. Over 90% (180 Million+) of the Entire U.S. Population (15-59) Owns a Mobile Device. The Number of 'Active' Mobile Devices in the U.S. is Greater Than the Entire U.S. Population. Globally, there are over 5.4 Billion 'active' mobile devices. How's THAT For 24x7 Whenever... Wherever Reach! Publish 1 or 501 eCoupons. Highest ROI Value... Lowest Per eCoupon Cost... We Do The Work! Helps Get Your eCoupons Working Even HARDER... For You! Incorporate QR codes to expand the reach of your eCoupons throughout print media. Scanning your eCoupon's QR Code automatically places the eCoupon only on the mobile device. Incorporate Barcodes to make sales and inventory tracking convenient and more efficient. eCoupon tracking allows you to track each time your eCoupon is viewed. Additional options allow you to receive periodic tracking reports to help gauge campaign status. Coupled with redemption tracking allows end-to-end eCoupon campaign tracking.